Well, I don't know about you, but this Christmas season has done me in for overload of treats and eats. 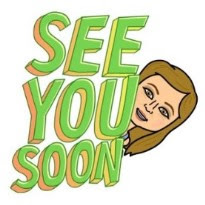 It's time to get back to healthy routines and healthy choices. How about starting with a salad! Salad doesn't always have to include lettuce or pasta. 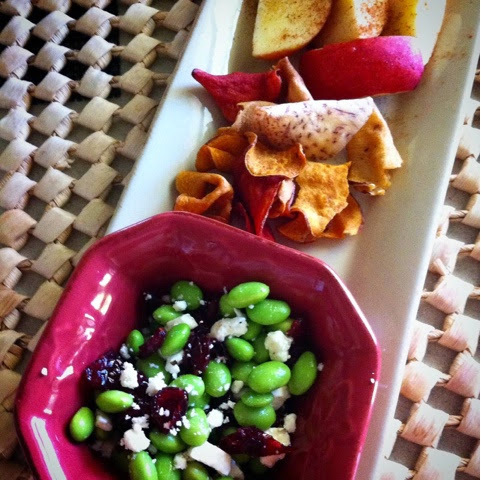 Here is a simple combo of edamame, craisins and feta. Note: If you prefer, you can use a different dressing, rather than olive oil. Some suggestions are Italian or a balsamic vinaigrette. Cook frozen edamame as directed on package. I made mine in the microwave and steam cooked for about 2 minutes, run under cold water, drain and then put in a bowl with the craisins. Drizzle with olive oil and stir in feta cheese. Season with salt, pepper and cayenne or use your favorite seasonings. Chill in the fridge for about 30 minutes, but if you're like me and can't wait, I dished it and gobbled it up right away!!! Throw in some terra chips and a sliced apple with cinnamon on the side and you've got a healthy lunch.